What can you guys tell me about the Remington 1911R1? In my idle search (won't purchase for awhile, probably not until I finish school) for a .45 1911, the Remington 1911R1 has caught my eye. When it first was introduced, I thought "*Yawn*, another no frills 1911 thrown into the mix, and that big "R1" on the slide looks weird." However, closer research has my attention drawn to it again. Why? As far as I can tell it has the features of the Springfield Mil-Spec (Better sights, etc), with a better finish, made in the USA instead of in Brazil, for about the same price. Paul (knitepoet), don't you have one? How do you like it? This gun would be basically a general use gun: Concealed Carry, Plinking, woods gun, etc. Goal is to have something I can trust and enjoy shooting, with opportunities for upgrades, but that it won't break my heart if it ends up rusting away in an evidence locker. I currently carry an STI Trojan 1911, but it has sentimental value, as does my Colt 1911 (Grand dad's gun), so I'd rather pony up for a basic .45 to serve the everyday beater purpose. Other candidates are the STI Spartan, Ruger SR1911 (most serious contender), Springfield Mil-Spec, Para GI Expert, etc. 4.25" barrel is a plus, but I've had no problem concealing the Government model IWB thus far. I'm trying to keep this project under $650 so I can squirrel money away for about 9 months to make it happen. Yes I do and I like it. It took a small amount of tweaking to get it how I wanted it. Good to hear. I don't (knock on wood) have problems with hammer bite, and I use a high grip (thumb resting on top of the thumb safety), so I may be set. I have a feeling mine would end up with a Commander hammer and an extended thumb safety though. If you're gonna spend the $$$ on a hammer and a safety, might as well get a Kimber Custom II. They're still on sale here for $699. Match grade barrel, bushing and trigger, all the upgrades. Unfortunately, they are scarce here behind California's Iron Curtain, however, our resident aerospace machinist turned rifle builder has had his mitts on one and been very highly impressed by the workmanship. It's a Series 80 gun, so that bugs me a little, but really, my only first impression grievance was that they seemed to have mental vapor lock as to what kind of 1911 they were making. They killed the retro military look with the big sights, and they killed the "modern" combat pistol concept with the lack of even an extended, righty-only safety. Bang for buck these days, the Ruger seems to have a lot going for it for what you want to do. It's a Series 70 / GI pistol mechanically, has a combat safety and the bumped grip safety to work in conjunction with it, and has the nearly universal Novak pattern sights should you choose to upgrade. I give Remington kudos for bucking the trend and installing the short, WWII type trigger (which fits all but NBA players hands better than the long type) but that's the only advantage I see, and any halfway decent gun crank can drop in a shorty for you. I'm not big on the fact that Ruger is currently only offering stainless, but for what you need the gun for, it ain't a bad thing. FWIW, I'm really wanting to get my hands on one of the Rugers, check it out. They're still pretty scarce, it seems. I'll probably bring one home, if it feels good. The price seems very good for the features. Did not know the Remington was Series 80... It's not so much that I'm a purist, but that I would like at least some parts interchangeability between all the kids, er, pistols. I know that is kind of a pipe dream since two of mine are 9mm's, and the next will be a .45, but that's still what I'm going for. 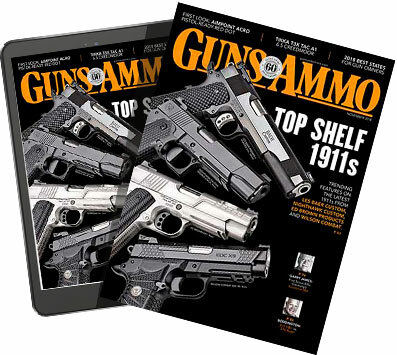 Looks like the SR1911 is the top choice thus far, if I can get my hands on one. For $650 it's a pretty good deal. That's what I thought at first, but I can see the advantage to the 3-dot set up. However, I do kind of wish they would have gone full-**** and made a GI style 1911, including more conservative roll marks that sort of resembled a GI pistol. When I first heard about them, I got to hoping they'd do a retro WWI Remington-UMC, but no joy. I have never understood the love you guys have for the old warhorse 1911 with needle pecker front sights. I don't have that much love for it, I just think it's neat. I've found in dimly lit ranges I have trouble with any black on black sight setup, if I'm shooting at a black target. Outdoors, I can blast away with the tiny sights all day. Those sights have never let Me down, I suppose if My eyes get worse.